Is your perfectly warm and fuzzy child suddenly acting like a total jerk? Has your little ray of sunshine become sullen and withdrawn? Maybe mouthing off to you on a regular basis? Is the sweet kid who used to come to you for advice and comfort all of the sudden telling you that you know nothing? If you’re nodding your head, you might be dealing with the “terrible” teens. I get it, trust me, I have SO been there. Raising teens can be incredibly challenging, and many of us know that all too well. 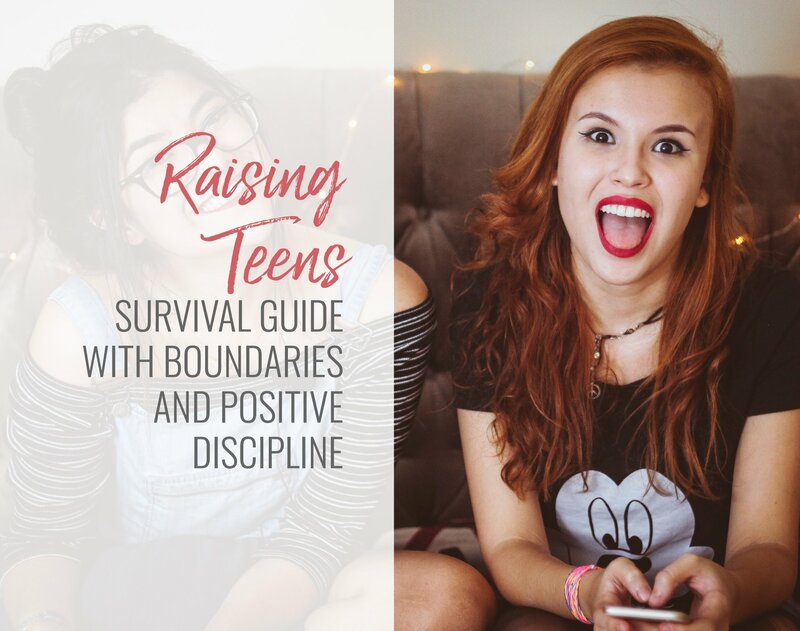 Having a better understanding of this period of child development, some go-to strategies at the ready, and a proactive plan for when the going gets tough can make the teen phase feel a little less terrible and help you feel empowered to be the very best parent that you can be. That’s why in today’s episode, I’m sharing my best tips on how to create boundaries and positive discipline with your teens. The teenage years are a very specific phase of development for children. In this phase, your teen’s biological imperative is to separate and individuate from you. Your job is to help them through this process. Your mandate is to guide them towards a healthy and independent adulthood, but many times, the reality of this phase is that it has the potential to be fraught with conflict, power struggles, and frustration. In general, parenting during the teen years can be problematic because it can kick up a lot of emotional stuff from your own past. So how can we decode this so that you can make the distinction between what’s happening for you (based on your own past experience) and for your teen? If you are struggling with feeling triggered by your teenager, I want to invite you to check out the downloadable cheat sheet I’ve created for you. 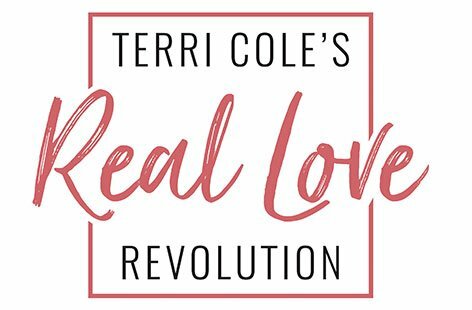 It’s a step-by-step survival guide with questions that will give you insights into what is being activated for you in your own life and why. You can download my “Raising Teens Survival Guide” right here. In it, I’m going to ask you to take a look at your own teen years in order to create your “Teen Years Blueprint”. You’re going to resurrect that period of your own development and bring things that deeply affected you up into the light. The reason for this exploration is simple: if you don’t make a conscious choice to understand what happened for you in your own teen years (especially the parts that were painful or that your parents mishandled) and decide to do it better, even if you swear that you won’t do what your parents did…you most likely will. This is just how humans are wired. You’re reading this, so I know that you really want to choose differently. So download the survival guide here and get started. Let’s take a moment and let that sink in. Does this resonate with you? It’s one of my favorite quotes for a reason, and I’ve shared it before. This is an incredibly important and wise way to look at parenting, especially when it comes to the turbulent teenage years. As humans, we’re compelled to perpetuate the species itself. Lifeforce energy wants to create more life. Yet Gabran’s words remind us that our children are not our children in the way of ownership. Children aren’t here to fulfill our emotional needs, or to make our lives easier or to be some kind of narcissistic reflection of us. While it’s true and beautiful that children can be an expression of the love you have with your partner, they’re not a mini-you. As parents, hopefully, we want to raise good human beings who will do something good in the world. Right? We are blessed with the honor and privilege of preparing kids to go on to live their own best lives, but nobody said it was going to be without challenges. But you can handle this. Your kid is not your friend. You can’t want to be friends with your kids. This doesn’t mean you can’t have a great and deep relationship with them. You should always be parents with appropriate boundaries in place. A kid needs a parent, not someone else to party with on a Saturday night. Be the parent. Create a structure with house rules. Teenagers need to have a structure, because without it, what with the hormones coursing through their changing bodies making them want to do dangerous and stupid things, they are biologically primed to run wild. It’s up to you to create that structure, unique to your own family. You should have clear rules of engagement with clear consequences. Expect that your teen will step outside of that structure. Make the container of your rules and expectations just a little bit smaller than it needs to be, knowing that they will break the rules and overstep. Expect that they will push the limits and cross boundaries, and have a plan in place when it happens that includes following through with the consequences you’ve set. Stick to your consequences. Again, teens WILL break the rules of your home and consistency on your part here is KEY. Create consequences that matter to THEM. You’re always going to have to negotiate and barter with them, so expect this and make sure that the consequences are both appropriate and are something they care about. You may not think that your kids will respond well to rules and consequences, but trust me, they will. It’s up to you to create a new normal for them. Don’t take it personally. So your kid is being a jerk? It’s not about you. One of the reasons it’s so important to take a look at your own teen years blueprint (Download the Survival Guide here), is to help you understand that the way you might be reacting to your child is about your past, not about them. It’s your job to clean up your side of the street. Only then will you be able to take the emotional charge out of every conflict that comes up. You being super reactionary (ie yelling, fighting with them, calling names, sulking, being withdrawn in anger etc) is you coming from a fear-based place. Yes, it’s frustrating. Yes, it’s hard. But that’s part of being a parent. Expect that there will be some acting out from your teen and try your best to stay present and calm. Your relationship will be all the better for it, plus you’re modeling emotionally healthy behavior for them. Get educated and get professional help if you need it! When I married my husband Victor, a widower with three acting out teenage sons, I entered parenting boot camp. I skipped the terrible twos and barreled headfirst into the terrifying teens with no manual or previous experience. I worked hard to stay present, keep the dialogue open, and not show my fear. Vic was relieved to have a partner to help him, and I was relieved that he was agreeable to family therapy, STAT! (Having an expert to help us seriously made all of the difference!) There are also so many excellent parenting books and resources out there (link to a couple of authors or favorites), so educate yourself and get empowered with knowledge! I hope that this was helpful for those of you who wrote in and asked me to address this topic! This is for you! Setting healthy boundaries in your family and with your children is connected to self-love, because the more efficiently and effectively you parent, the better you feel about it, the happier you feel about yourself, the more empowered you are. Parenting teens is fear-inducing. You will have moments of fear (we all do) but there’s a way to do it where you can lessen so much of the anxiety and that’s what this post is all about! Don’t forget to download your cheat sheet and keep your eyes and ears open for our Wednesday Wisdom Sessions that are going to be starting in our free Facebook Group in December. If you enjoyed this, please share it on your social media platforms and with others that could find value in it! I hope you have an amazing week and as always, take care of you. The timing is amazing, just what i needed. Thanks. Thank you Terri! This is wonderful.